Thank you for sharing how you developed lymphedema. I only had 2 lymph nodes removed and, like you, my concerns about getting it were dismissed by my doctors. I guess the only bright spot for me is that my lymphedema does present itself on my arm, but rather under my arm pit. So it is less noticeable. That doesn’t mean it isn’t uncomfortable, that it doesn’t cause pain or mobility issues. Also like you, I had awesome OT and PT with experience with lymphedema who taught me lymphatic massage. So when I get a flare up, I can usually manage it myself. (My doctor’s immediate reaction is to put me on an antibiotic, which I always refuse.) Thanks for sharing your story. I’ll be sharing, if you don’t mind! Thank YOU for sharing your story as well. It’s so frustrating when our concerns are dismissed. I believe that we have concerns because we have intuitions about what is happening in our bodies. We should be heard. I’m glad that you are able to manage your lymphedema by yourself. Why would your doctor want you to take antibiotics? Please…do share!!!! I’m honored that you want to. My Lymphedema is bilateral and causes throbbing discomfort 24/7. Mastectomy and lymph removal right side, lumpectomy and lymph removal left side. Left side did not occur until a fall at work then whammo- swollen arm and hand. I’ve just about list use of right hand due to tough fribrosis. Another danger to Lymphedema is cellulitis where infection cannot drain from extremity and hospitalization is required with IV Antibiotics. I feel like a freak with garments on night/day. Bilateral lymphedema must be so difficult. It’s hard with just one arm affected. Thank you for mentioning cellulitis. It’s very scary and I hope to avoid it. Thank you for reading! I am 9 years out from my breast cancer treatment: double mastectomy (cancer on left) and radiation. Shortly after the surgery I had some mild lymphedema and was treated with massage. I was careful about wearing a sleeve anytime I got on a plane. Well, flash forward, and the truth is, I stopped really thinking about it. I mean, I don’t allow needle sticks or blood pressure on the left arm, but I never had a problem, flew on planes a few times, no issue. Kind of pushed it to the back of my mind. This January I flew to Florida and the next day, in the hotel, I was trying to figure out why my left arm looked so swollen. I was just diagnosed and must do 3-4 weeks of bandaging, night garment, day sleeve and gauntlet. I am angry at myself for getting complacent. But I am also angry that this disease gets very little notice and yet affects so many of us. It’s so annoying that it can creep up on us at any time. I think you were right to put it in the back of your mind if it wasn’t bothering you. I’m sorry it just flared up. I hope you can get it under control. Thank you for reading and commenting. Thank you for this info. I am recovering from breast surgery (right breast removed) due to inflammatory breast cancer. 20 lymph nodes were removed. I am dealing with significant cording in my right arm, but so far no lymphedema. I am so at risk for lymphedema as I am now going through radiation. I can say the same thing about my surgeon…excellent, caring and encouraging, but trying to get the proper preventative information for lymphedema has been near impossible. Carol, I also have terrible cording. We still haven’t been able to break any but I’m not giving up. My cording started before radiation but the lymphedema really flared up after radiation. I would seek out PT to help work with you during and after radiation. I wish I had. Thank you for reading! Omg.. You just stated everything I have thought and cried about for the last 11 years. Thank you for putting it out there. I’m glad I’m not alone..
You are definitely not alone. Thank you for reading! YES!!!!! 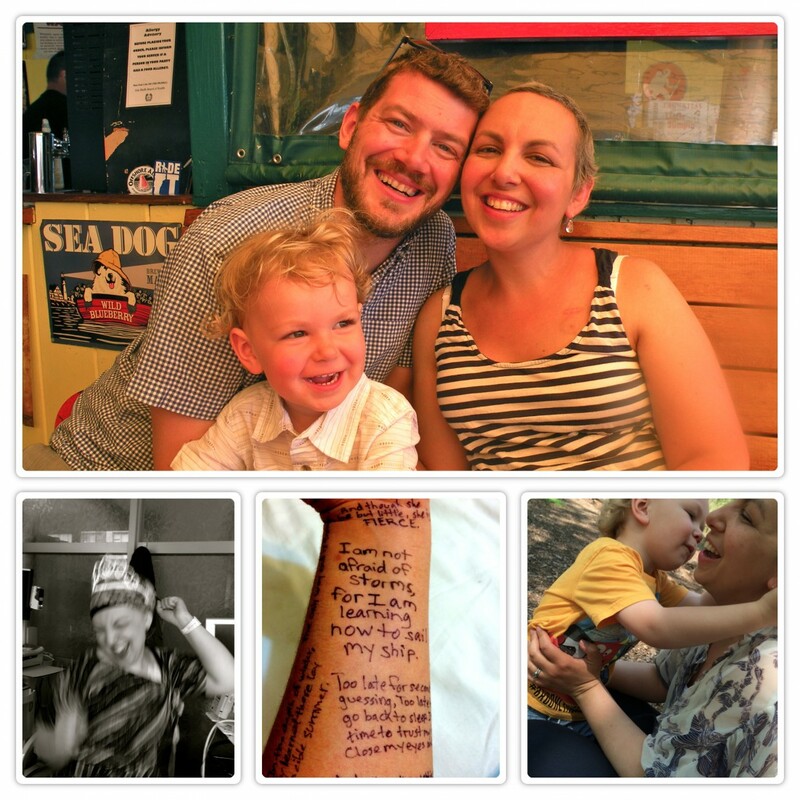 I can’t believe that limbs are not measured before a mastectomy. It makes no sense to me. I also don’t know why we are not referred to PT immediately after a mastectomy. Why we are not told about cording. Why we are not educated about lymphedema. It boggles the mind. I have a great PT. I hope to be posting the interview tomorrow. Thanks for reading, Kathi! I never heard of this. I can’t believe that something this easy is not standard. Or, at least, basic measurements. No, I don’t think they do. You’re absolutely right. The L-Dex is a good option, but circumferential measurements are accurate as well. I don’t have the L-Dex in my clinic because the pads are about $65 a piece and are not covered by insurance. There are breast surgeons in NYC who do a pre & 3 month post L-dex, but they are inconsistent in performing. So, in your opinion, would measurements suffice for pre-surgical testing? Yes, absolutely. Although the L-Dex is less time consuming. Thank yo for reading, Heather! What a great study. Can you share the information on how to get involved for anyone living in Sydney? Lymphedema in my legs, what a horror. Not only the scars, but the knowing there is no cure, always having trouble walking and finding shoes to fit. Feels like someone put my feet into a 10 gallon bucket of cement and let it harden. My Dr. let it go one for over 3 years and they could of helped me, but let other things like saying your weight is to high and it was always something else to blame. Thanks to a kind PT who took all the measurements and taught me how to wrap the legs, etc. But still I can not walk with my grandchild, can not play ball with him or run, not a life for anyone and still no cure. Thank you for sharing with us all, only hope someday it will get better for everyone, legs, arms, or general body, but soon. It’s so upsetting that doctors are not educated by this very common condition. Instead of helping us they blame us if it gets worse. It’s so upsetting. I’m glad you are getting some help from a PT but it would be even better if you could play with your grandchildren and live life as you would like. I hope this all gets better for us all soon as well. Thank you for reading! Rebecca, it’s good to be educated about this condition and I hope you never have to use this knowledge for personal use. I can’t wait to post the interview. I think it will be informative and help so many people. Thanks for reading! I hope you are doing well. I completely reversed secondary lymphedema in a client. I made great improvements in another client. I contacted the National Lymphedema Network and was almost rebuked and threatened. I contacted the Lymphedema Research Foundation and never heard back. Unfortunately this is the world we live in. I’ve been on a VERY painful journey of illness and injury and HAD TO learn how to get well. I’ve written s book titled Getting Well God’s Way and it’s on Amazon.com. It doesn’t cover this issue but is my story of reversing my autoimmune disease and advanced cervical degenerative disc disease and 11 years of horrific pain after a broken back and subsequent re-injury. I am not claiming I have this one all figured out but I do believe I have some important insight. It’s unfortunate that this world doesn’t care or offer any incentive or means for me/us to develop this further. Even if it only works on some people it’s worth looking into but I’m blocked by many factors in the culture. I wish you all well and wish I had some way…. That’s amazing that you reversed secondary lymphedema. I’d for you to share more about what worked for you. I understand that what has worked for you might not work for everyone but if it can work for just a few, it’s worth sharing. Thank you for reading. I hope you share some strategies here. Well I can’t share the strategies. It was a mix of approaches using very specialized equipment and the use of a gift that opens energy in scars. I was seeing a client for other services who had secondary LE after her left breast was removed. Based on the acquired knowledge from healing my own body I had a theory. “If I do this then the body should do…and once that system is vital then I should be able to…” It worked, which means my theory was right. It wasn’t random but was a theoretical approach to rehabbing systems in the body. One of the issues is that one of the pieces of equipment I used is distributed by criminal parasites in the business world. There’s no way I’m going to steer people to them. They’re predators. If this is meant to be then someone needs to come along that can create the equipment. I don’t believe it can be done without using a systemic approach. And the biggest issue is that insurance won’t pay for people to see me and I’m not in a position to work for cheap or free. It took about 6 months of seeing her 3 times a week but I can’t help but wonder if I did these therapies very soon after the procedure if it wouldn’t speed healing and prevent the condition. Who knows? When I got well I also found that not one damn thing I needed to do to get well was found in mainstream medicine and not one thing was paid for by health insurance, much like the plight of people with LE. You can sign up for my blog and see where this journey takes me. I’ll eventually start speaking and will be continually hopeful that an opportunity will open up to share this issue and the fact that we live in a world that blocks healing access while mandating payment for a health insurance that only has answers in 20 to 30% of cases. It will take all of us! I’m currently working on a screenplay about this journey to go with the books. I think God’s getting ready to “call out” people who are standing in the way of healing. This is shameful as a society! What a wonderful post. Thank you for sharing about your experience. During my personal cancer chaos period of diagnosis, surgery, etc. LE was never mentioned. Never. It was mentioned to me not to have blood pressure taken or blood drawn on my “bad” side, but no one explained why. And I was so “out of it” I didn’t think to ask. I learned about it at my support group. I agree with Kathi. This should be part of standard care for cancer patients. Having a baseline of measurements would be pretty easy to implement. At the very least, the topic should be mentioned, discussed and asked about at followups. Glad you found your wonderful physical therapist. She sounds like a gem. Looking forward to that interview piece. Thanks again. Thank you for reading, Nancy. It bothers me so much that it was not mentioned to you. I honestly can not remember if it was mentioned to me. The time of diagnosis is so chaotic..it could have been. But I did ask several doctors and nurse practitioners about it and no one was concerned. It was something to be dealt with if it happened. There was no mention of intervention to prevent it from happening. This needs to change. Hi Iam in Alaska and have lymphedema in both legs and torso area of course I knew nothing about this after surgery I got shots in knees and told the drs. I was doing this this they never said a word after few shots I woke up to my foot double in size saw Dr in hallway one day he say why are you limbing I show him my leg he said to come by his office right away. This in when I found out about LE I did not no what to think or do so for the last12 years I been dealing with this Its very tiring dealing with this 24 7 but I have to I hate the pain of this more then anything it does not go away it hurts more then anyone can image I really do not no why it hurts so bad but it really does. thats my story I don’t like it but Iam alive and that matters. Hi Rebecca in Alaska!!!! It never ceases to amaze me how little medical professionals know about lymphedema and how to prevent it in individuals at risk. I understand, it takes a lot of maintenance to keep it from flaring up. It’s the worst. But I’ve found exercise has really helped me manage it. I hope you find things that help you too. When one of my sentinel nodes was malignant, they took my axillary nodes — 28 nodes in all. When I had swelling in my right arm later on, my surgeon, who I think the world of, just stood there and said, “You don’t have lymphedema!” It was almost as if he didn’t want to admit that his work could have left me with a bad side effect. I mentioned it to my radiation oncologist who took one look and said, “Oh, yeah, the right is definitely swollen,” and he taught me how to massage my arm and gave me a prescription for a sleeve. The right is always a little swollen, but it’s managed at this point. UGH!!!! Why would a surgeon, who’s obviously knowledgeable say that it’s not lymphedema or, at least, you should get it checked to see if it is!!! Thank goodness for your radiation oncologist. I’m glad you’ve been able to manage it. That’s important. I developed lymphedema shortly after radiation. But what I would like to share is that I suspect it is much more common than we are often aware. Just the other day in a store the check-out clerk saw my sleeve and said, “I really should be wearing my sleeve, but I only do when I get swelling.” The lady behind me in line (in long loose sleeved top) immediately said something about how she hates wearing her LE sleeve. I suspect there are many women whose LE is mild or who hide it with clothes who just are not wearing the sleeves. I used to only wear the sleeve for things like heavy housework or gardening, before LE progressed to worse. Now I have to wear it daily. My lymphedema, as far as I know, also started after radiation. It’s possible I was showing signs before that but I was ignored by the PT. It pains me to think that this could have been caught early and either managed better or reversed. I agree that it’s more prevalent that doctors or the American Cancer Society might acknowledge. Thank you for reading! My feelings seem very similar to yours. I don’t want to wear a sleeve and glove every waking moment of my life. I’m wearing it most weekdays at work, plus when I do my sandbag training workouts. I don’t wear it running. I do wear it flying. Massage therapy and acupuncture seem to help me as well. I really think it’s about finding a strategy that works for you. I resent it when I’m told if I don’t do it one way that I’m inviting problems. Anyway, thanks for sharing your experience. I look forward to your interview with your PT! Thanks for reading, Lori. I agree, we have to find the best way to live our lives with this condition and it’s not the same for everyone. If you want to read the interview with my PT, just go to my blog. It’s the next post after this one. I’d love to hear your thoughts. Hi, I’d be happy to ask my therapist if she knows anyone. Where in Colorado are you? Are you near a major city? Hi Diana, I don’t know anyone personally but will ask around for you. Where in Colorado are you? Email me if you prefer. Hi Cindy,, I’m close to Denver,, a little background on me,, I had a right lumpectomy and axiliary lymph node dissection, chemo and radiation in 2000,, developed Lymphedema about 5 years after treatment,, my oncologist referred me to a PT who had some training in Lymphedema. The lymphedema is under control for the most part, Very similar in size tommy other arm since I took up running (which really seems to help) I wear a compression sleeve all the time though, scared to not wear it. I’ve gotten to know my arm for the most part,, but I am always looking for advice, treatment, etc and would love to have a therapist I could go to like you. Would love to be able to go without the sleeve on occasion even for just a night out in a pretty dress, Bit worried I would pay the consequences. I don’t know if this is even a possibility? I would love to have someone to ask these questions of that is flexible like you. I thank you so very much for answering my post.. It really means so much!! As far as the sleeve, you should be able to go without it without complications. I do not have my patients wear compression at all times and sleeves are typically only used to exercise and for air travel. I would give it a shot, and, so that you can be objective, take a photo of your arm in the morning, and then at the end of the day after not using the sleeve and see if you see a difference. You can even email me the pics to ask if I see a difference. 1) Do your therapists require that at the time of discharge individuals must wear compression at all times or are they flexible depending on the individual? 2) When I am wrapped in your clinic do I have to leave the bandages on until my next visit? 3) Does treatment include a strengthening regimen? If the answer to questions one and two are yes, and three is no, call the next facility. Hope that helps and I am so so sorry for my delayed response. Good luck and I’m here if you need me. Fabulous, fabulous blog. My thoughts and feeling about lymphodema exactly. Realising I was developing it, within weeks of surgery, was a major blow. It is a constant lifelong reminder of the cancer when in every other aspect of life, I try to put that behind me. Can’t do that with lymphodema. Your therapist sounds just like mine, an amazing and positive woman who is an Australian expert on the condition and travels widely throughout the world speaking and attending seminars. She is a boon. Good luck for you and your healthy future. Thank you! I’m so glad you like my blog! Lymphedema really is the worst. I’m glad that you also have someone you love and trust. I hope you are doing well!